Brilliant coral orange color. Aromas and flavors of peach sorbet, orange blossom talc, and honeyed golden raisins with a tangy, effervescent, moderately sweet medium body and a compelling, long finish revealing nuances of dried apricot, tangerine sorbet, and honey crisp apple with fine, crunchy, fruit tannins and no oak flavor. A delicious fruity, tangy, sweet wine with great flavor and structure. 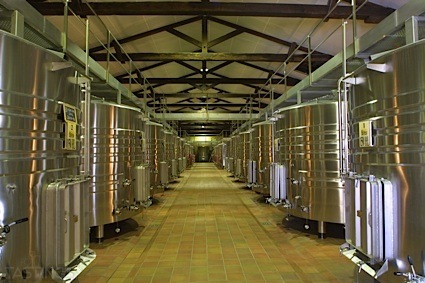 Bottom Line: A delicious fruity, tangy, sweet wine with great flavor and structure. 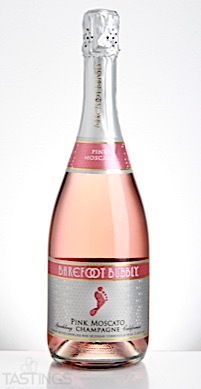 Barefoot Bubbly NV Pink Moscato Sparkling Dessert Wine, California rating was calculated by tastings.com to be 91 points out of 100 on 9/18/2017. Please note that MSRP may have changed since the date of our review.